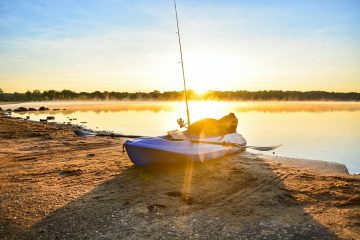 Wouldn’t it be great to know exactly where to cast your line when fishing from the comforts of your kayak? 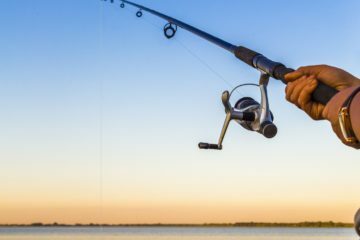 Maybe you’re a recreational fisherman who only paddles out every once in a while or maybe you’re a fisherman who goes out daily. Either way, you’ll want to find the best kayak fish finder to make sure every moment on the water counts. 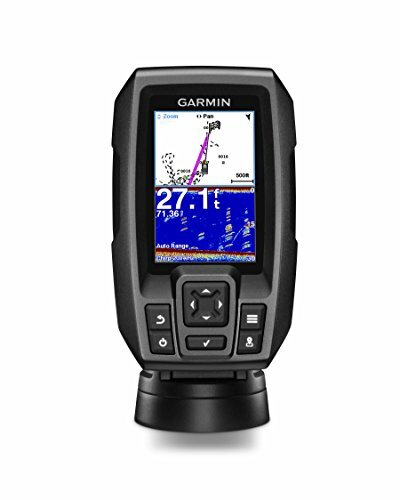 But, how do you know which fish finder is right for you when choosing among tons of options? The different sonar systems and features can be confusing. Here at The Adventure Junkies, we take pride in finding the most useful technology available and have come up with the best fish finders of the year. 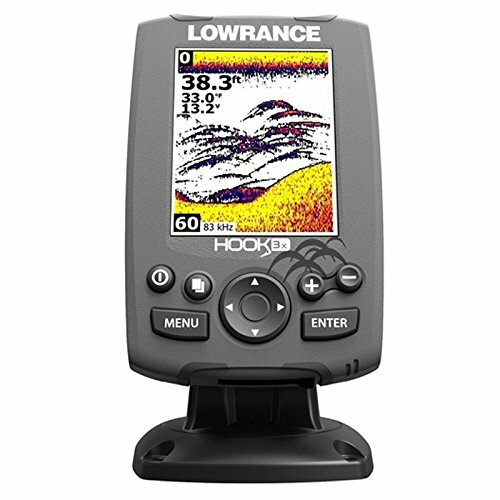 Since you’re limited to fishing from a kayak – a vessel that’s obviously smaller than a standard fishing boat – you’ll want a fish finder with a display size of less than five inches. Anything larger than five or six inches will get in the way, be a challenge to mount and is frankly too bulky for a kayak. It’s unlikely that your larger display will come with any extra features. So, there’s no reason for you to opt for an eight-inch clunker. Some kayak fish finder displays and transducers need to be mounted to the kayak to work. If your fish finder needs to hook up to an external battery or is too large, it might not be portable enough for your fishing style. Thanks to new technology, you can hook a fish finder up to your smartphone. Just attach it to a line or buy one that has its own compact rechargeable battery pack. 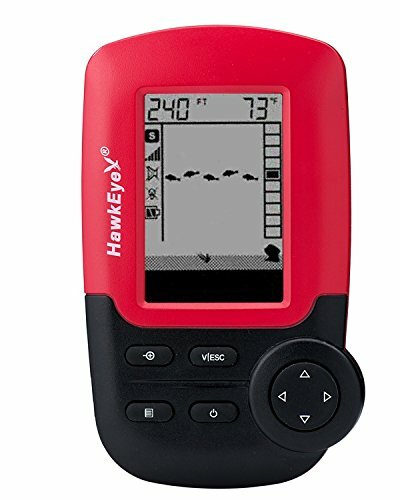 If you often use your kayak for recreational kayaking or let others take it for a paddle, you’ll want a portable fish finder. That way, it won’t get in the way or knocked into the water when it’s not being used. 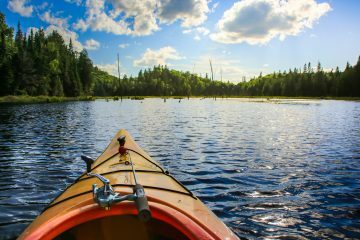 There are so many benefits of kayaking. One of the major ones is stress reduction. The relaxation factor can quickly become undone by knocking an expensive piece of gear into the water. 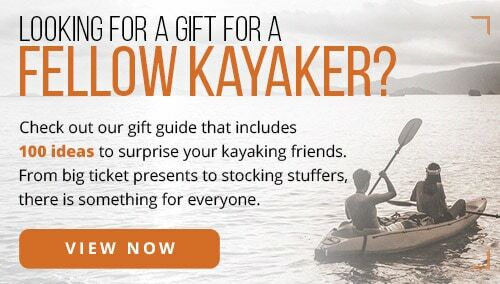 However, if your kayak is used strictly for fishing, you might find it convenient to have a larger display set up where you can always see the screen. Some of the smaller and more portable fish finders are awkward to mount or need to be carried in a pocket. 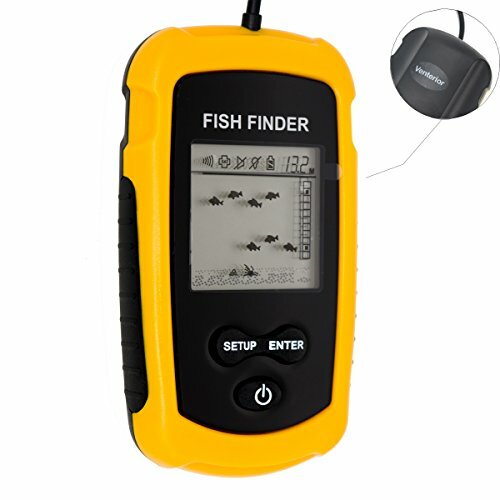 The ultra-portable fish finders can be connected to your smartphone. This is often the best choice for fishermen who want to save on space and seek convenience. 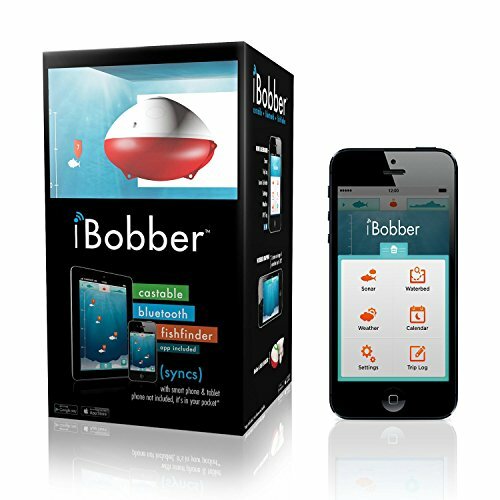 Buy a waterproof case for your phone if you get the fish finder for smartphones. This is often the best budget option if you already have a smartphone. After all, your phone has GPS and can even connect to other fishermen who frequent your fishing spot! Check out this guide on creating a DIY kayak fish finder mount to save money and mount nearly any type of fish finder. The transducer is the part of your fish finder that uses an echosounder system, which reads what is underwater. 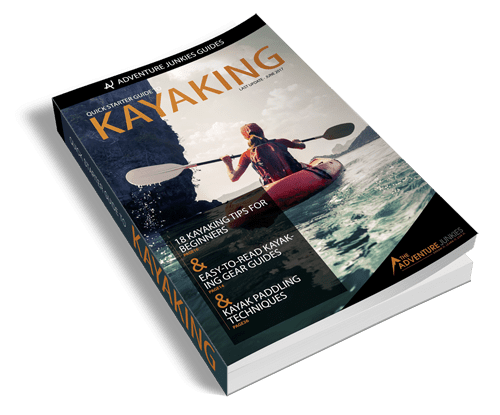 In an article on how to read your fish finder by Kayak Critic, they explain a bit more about how the transducer works and its purpose such as looking for underwater hazards. The great thing about kayak fishing is that it’s easier to mount a transducer on a kayak than on a boat. How you mount your transducer will depend on your preference and the make of your kayak. Note that they are typically mounted in the hull, in the scupper hole, with a suction cup or near the rudder. 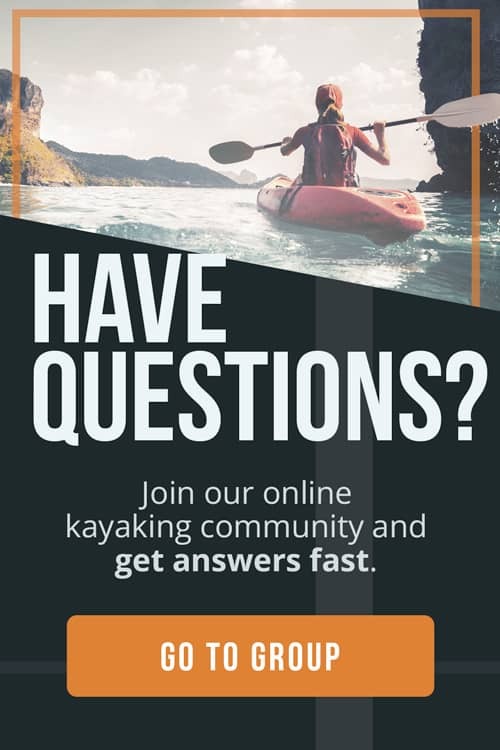 A few kayak brands have partnered with fish finder companies to create a transducer mount area that is compatible with one another. 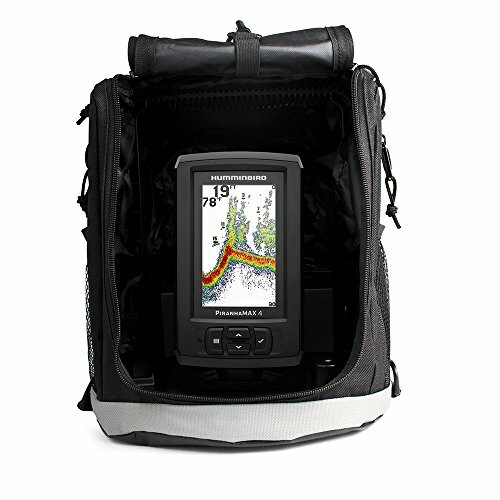 Though having the specific fish finder placement areas is a bonus, it shouldn’t be the main deciding factor when choosing the best fish finder for you. If you’re a serious fisherman, you’ll want to read our guide to choosing the best fishing kayak to go with your fish finder. GPS is great if you are frequenting new waters and want to keep track of where you’re reeling in the best fish. However, if you are frequenting the same lake or river repeatedly, you can save a few bucks by relying on your memory. This isn’t an essential feature that a fisherman needs, but is a nice extra to have. 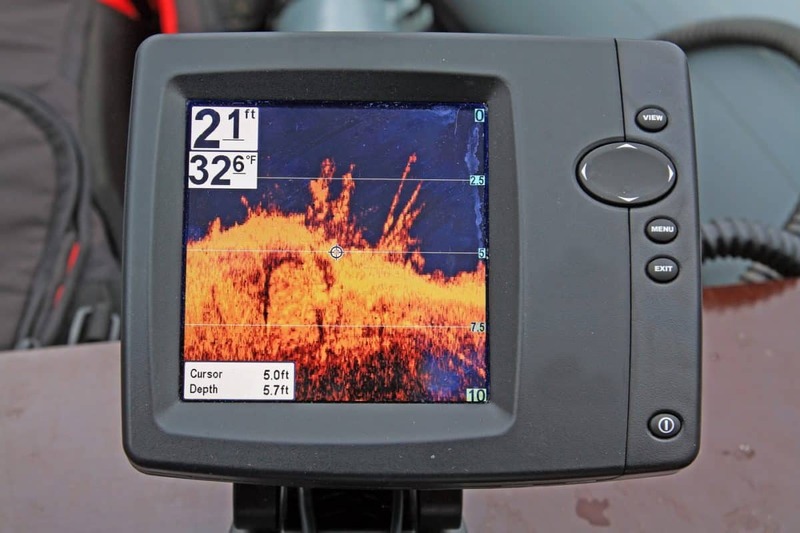 Some fish finders use 3D SONAR rather than the traditional SONAR through the transducer. The 3D SONAR shows a very detailed view of what lies beneath. Though this is a bonus to have when you’re fishing off of your kayak, the range that 3D SONAR covers is often less than traditional SONAR and the beam does not go as deep. 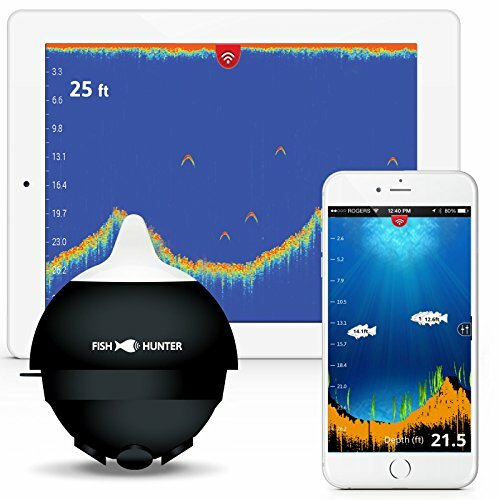 Get the 3D SONAR if you are fishing primarily in shallow water or the fish you’re searching for are typically found at shallower depths.